Talented and dedicated personal trainers are available to help Campus Recreation members interested in individual instruction and motivation. Our trainers design personalized fitness routines to help you reach your goals and guide you through the workouts every step of the way. Call Fitness Programs at (406) 243-2833 or email campusrec@mso.umt.edu for more information, to ask any questions you may have about personal training or to sign up for a personal training session time. Each session is one hour in length unless otherwise specified. A client must be a current member of Campus Recreation or purchase a valid guest pass for each session with a trainer. See Membership Policies for details of how to obtain a valid membership or pass. Browse the personal trainer profiles to help you choose a trainer who will fit your needs. Call (406) 243-2833 if you need help selecting a trainer or if you have any questions regarding the personal training process. Call (406) 243-2833 when you are ready to hire a personal trainer. Clients work with a personal trainer to determine the frequency and scheduling of the sessions. After you have made contact with your personal trainer, you can purchase your training package at the front desk of the Fitness & Recreation Center. Complete the new client paperwork. You may complete the forms and email them to your trainer, or you may print them out and bring them with you to your first training session. Nate discovered his love for human movement during his early years of college. Ever since, he has spent a vast amount of time working towards perfecting his craft and molding his training philosophy. Nate believes every person is different, which is why he creates detailed programs specific to your individual needs. His background in training college athletes and human physiology allows him to work with people in a tailored fashion in order to elevate them to new fitness heights. Nate specializes in strength and power development, sport-specific training, weight loss and injury prevention as well as balance, mobilization and stabilization techniques. Brennan has been a personal trainer for over four years. He is currently an Exercise Science master’s student at the University of Montana. 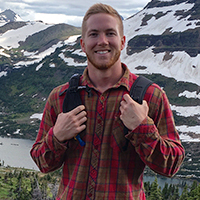 He began personal training as an undergraduate trainer at Washington State University’s recreation center in 2014. He has had the opportunity to work with every fitness level since. As an undergrad, he received his minor in strength and conditioning and worked with division one athletes at WSU’s Bohler Athletic Performance Center. He currently volunteers at the Grizzly Champions Athletic Performance center. He has also worked at a physical therapy clinic in western Washington as an exercise specialist. The summer of 2017 he was offered a position with the Seattle Mariners as a sports performance intern in Peoria, Arizona. Each individual has a different set of skills, needs, and goals. With this in mind, Brennan's experience at working with people of all fitness levels gives him a great understanding of how to assist each client safely and help them effectively achieve their goals. 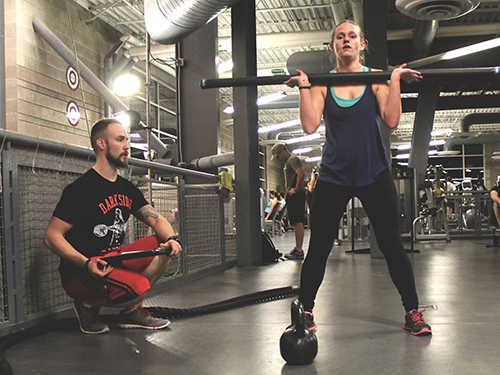 An ACE-certified personal trainer since 2016, Lacy specializes in functional fitness, with a focus on full-body workouts using everyday movements. She also practices assisted stretching, which can decrease back and neck pain, improve your range of motion, increase your blood circulation and burn calories. Although Lacy's background is in special effects and fashion design, she found fitness to be her true passion. Fitness has been a huge part of her life, so she loves to share it with others. In her work she brings attention to the mental benefits of exercise as well as the physical ones. Maddie has been passionate about the science of movement since a young age. She grew up playing every sport offered but fell in love with soccer and ended up playing for Colby College, in Maine. While there she studied psychology, but early into her college career she realized she wanted to help others get outside and back to their favorite activities after an injury or life-altering procedure or diagnosis. 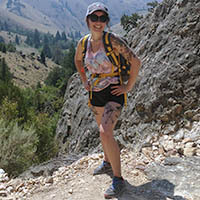 For that reason she started taking the prerequisites for physical therapy graduate school and eventually found herself in Missoula, attending UM's doctorate program for physical therapy. 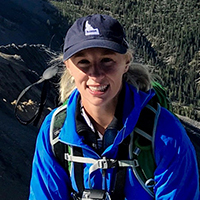 Maddie spent the previous two years in Tahoe, California, working as a physical therapy aide, assisting physical therapists with exercises and pursed her other passions of skiing and trail running. She loves getting people of all ages and fitness levels to their preferred level of performance and moving efficiently to avoid injury. Maddie specializes in endurance and stabilization programs as well as high-intensity interval workouts but is happy to try anything that will best serve the client. Ashley's involvement in sports and outdoor recreation as a child nurtured her enthusiasm for physical activity and movement. Her passions include hiking, watersports, horseback riding and long-distance recreational running. During Ashley’s undergraduate career at Idaho State University, she furthered her knowledge in movement physiology while working as an intern performing maximal exercise testing in the university’s human performance lab. 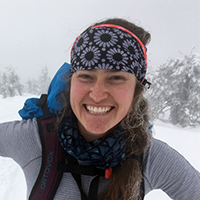 After completing her undergraduate degree, Ashley decided she wanted to pursue a career in physical therapy while maintaining her adventurous and active lifestyle, which ultimately brought her to UM, where she is a graduate student in the doctorate of physical therapy program. Consistent with her background in long-distance running, Ashley specializes in endurance training as well as high-intensity circuits. Recognizing that every individual has a unique set of goals and needs, Ashley strives to personalize each exercise program with the client in mind. 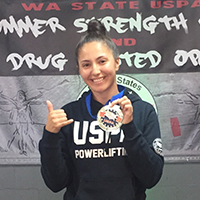 Serena has found her passion of health and fitness through competing in powerlifting. 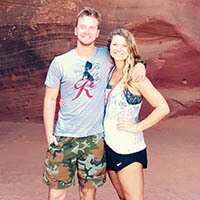 She is currently enrolled as a senior in her undergraduate studies of exercise science at the University of Montana. Since beginning her studies three years ago, she has also competed in powerlifting during this time and broken Washington and collegiate-level records. During her time at the University of Montana she has worked with Division I athletes through an internship with the strength and conditioning coaches at the Grizzly Champions Athletic Performance Center. She has also worked with NFL, MLB and youth athletes through an internship with Ford Sports Performance in Bellevue, Washington. She specializes in sport-specific training, strength and muscle gain, power development, injury prevention techniques and mobilization movements. Through these experiences, Serena has developed skills that allow her to create programs tailored to the needs, skills and goals of her diverse set of clients.